While improved consumer technology like televisions and gaming equipment are the stars of CES, the auto industry impressively showcases the transportation of the future on a yearly basis. And in 2019, we’re seeing some of the most ambitious car advancements yet. All technology is smart nowadays. From phones and fridges to thermometers and TVs, touchscreens and virtual assistants have become common parts of everyday technology. And now, it’s time for the car to catch up. 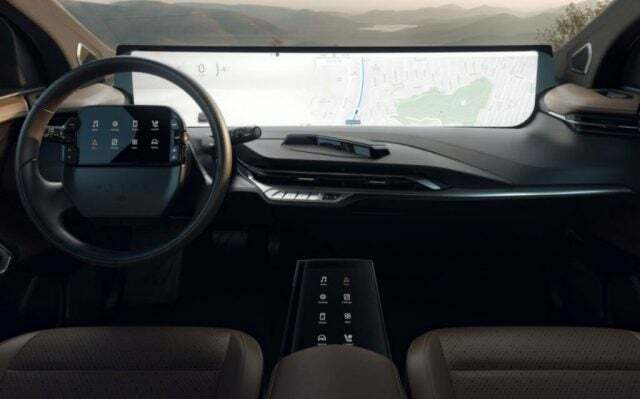 At its CES 2019 press conference, Samsung announced the Digital Cockpit, a futuristic auto interior equipped with all the bells and whistles you’ve come to expect from the tech giant. The concept comes equipped with Bixby, Samsung’s virtual assistant, which can do everything from start the car to adjust the air conditioning. You’ll even be able to start your car from home with a Galaxy Home speaker. You’ll also enjoy a massive touchscreen display across the entire dashboard, so your passenger has power to control your car as well. The dashboard is equipped with apps like maps and music to make your driving experience that much more enjoyable. Perhaps the most impressive feature of the Samsung Digital Cockpit, however, is the driver monitoring system. Equipped with a camera and machine learning, the system will alert drivers when they aren’t paying attention or are falling asleep. While self-driving cars are certainly on the way, this simple feature could mean the difference between life and death for some dozing drivers. As smartphones, tablets, and 8K TVs continue to take over our lives, driving still remains one of the few activities that is best performed without a screen. That is, until Chinese startup Byton released the Shared Experience Display for your car. Now, screens are more apart of driving than anything else. With this innovative design, Byton is effectively turning your car into a variety of smartphone screens: one on the steering wheel and one in the center console for easy music, phone, and other app access. Each screen works with the 49-inch display across the dashboard, which they claim is the largest in a production car ever. In addition to working with each touchscreen, the 49-inch display will function with voice recognition and gesture control, so you won’t have to take your eyes off the road for too long. Not every car tech innovation announced at CES 2019 is obvious to the naked eye. Software improvements are just as important, particularly when it comes to improving self-driving technology. Fortunately, Nissan understands this, which is why they debuted their Invisible-to-Visible tech. The Invisible-to-Visible (I2V) technology allows users to get the full picture of their driving environment, even that which you cannot see. From downed tree branches a few blocks away to a u-turning van around the corner, you’ll be alerted to problems on the road before they even happen. I2V can even predict when a parking spot will become available, so you’ll never have to aimlessly drive around a parking garage again. As with any concept, the Invisible-to-Visible technology is likely a long ways off as far as standard adoption. However, you have to admit, it’s a pretty cool idea, and the physical representation of what it might look like is even cooler. But when you use words like “meta-verse” in your promo, it’s hard to believe the tech is around the corner. 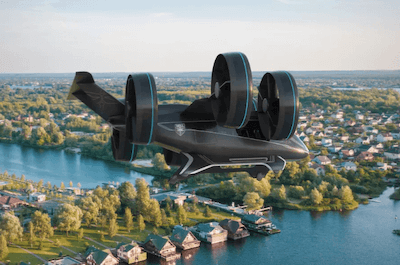 It wouldn’t be CES if someone didn’t pitch flying cars to their thousands of attendees, and Bell Helicopter was up to the task, announcing the Bell Nexus, a hybrid-electric propulsion vehicle equipped with six rotary fans that, well, make it fly. 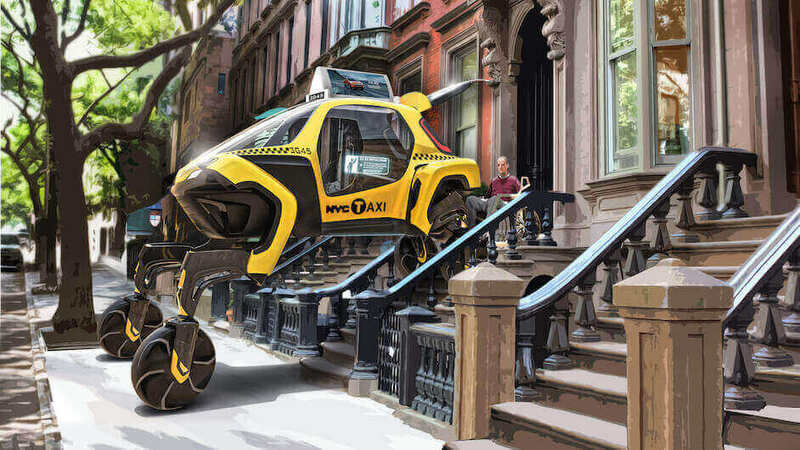 Bell showcased the cabin of this ambitious vehicle last year, creating a bit of excitement over the potential for flying cars, or “air taxis,” as they continue to insist they be called. Although, it’s likely the flying part they should be worried about, rather than the branding at this point. Unlike the other concepts on this list, the Bell Nexus surprisingly has the most concrete plans for the future, with Bell insisting they’d be launching in a few major markets by the “mid-2020s.” Sure, that’s incredible vague and hardly a difficult target to hit, but still, it’s less vague than any of the other promises at CES 2019. Ever gotten super bored in the back of a Lyft? Well then Audi and Disney have come up with perfect use for virtual reality that will turn your next ride into a video game on wheels: Holoride. This is the kind of virtual reality we’ve been waiting for! Not only will you be able to play games with a handheld accessory, you’ll also be able to visit the past and see what driving around ancient Rome would’ve been like, for example. Obviously, the standard use of this tech is miles away, but hey, they might have actually figured out virtual reality. For years, we were promised flying cars through extravagant sci-fi movies and ambitious concept announcements. But what if we’ve been thinking about it all wrong? After all, cars don’t need to fly if they can walk, right? Who knows, but that’s what someone at Hyundai thought would make a lot of noise at CES 2019, and they aren’t wrong. The Hyundai Elevate is a four-legged first response vehicle, which looks like it came straight out of your nightmares. 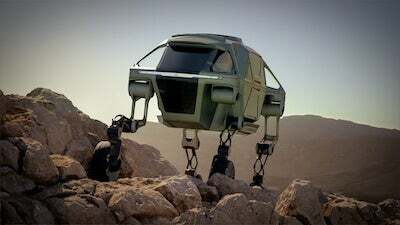 The admittedly versatile car can traverse pretty much any terrain you can imagine, making it perfect for search-and-rescue and humanitarian aid missions. Sure, those being rescued might be worried that the Earth has been taken over by robots, but at least they’ll be safe.